From my personal experiences, cleanses usually involve expensive herbal supplement kits from the health food store, or a whole lot of juicing. However, this cleanse is different. 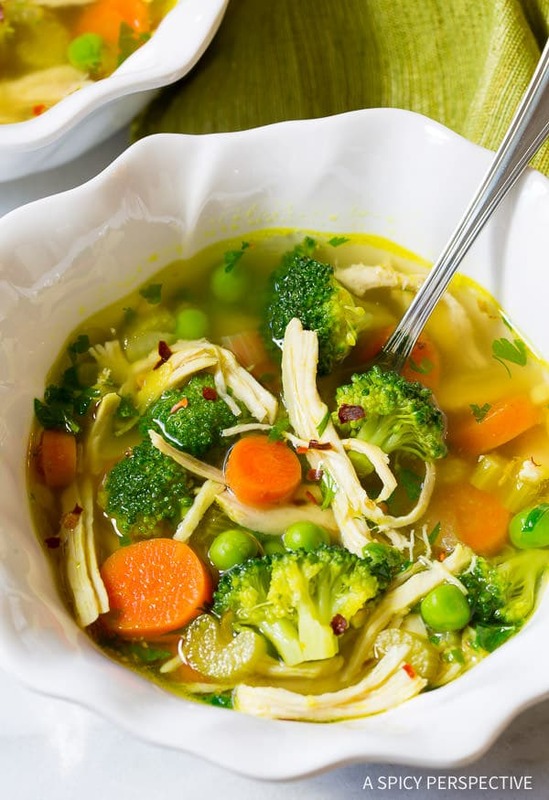 It’s a nourishing homemade soup with fresh chicken, loads of veggies and ginger, to boost your metabolism and immune system, as well as remove toxins to help your body to work as it should. It is gluten free, dairy free, and paleo to boot! Although this soup is meant to be used as a 10 day cleanse, and you will probably be ready for a change after so many days and bowls of soup, it is a completely sustainable food. In theory, you could live off of it. With protein, vegetables, vitamins, and minerals, it provides more nutrients than most of the world’s population receives on any given day. So don’t be afraid to give it a try! After 3-4 days you may introduce green salads with raw nuts in the evenings. By the end of the cleanse you still eat the Chicken Detox Soup all day, but may add salmon to your evening salad for a little extra healthy fat. Lt. Dan and I have done the Chicken Detox Soup Cleanse several times and each time it helps us shed water-weight, a few extra “real” pounds, and sets a precedent for continued healthy eating. Since we’ve started, several friends have also tried the Chicken Detox Soup and have had the same results. The original recipe in the book calls for all organic ingredients including a whole chicken, and several veggies that aren’t my favorite to have floating in the soup. We’ve made the soup as recommended several times, yet Dan always complains about the recipe. Over time I’ve developed my own rendition that we feel is easier to enjoy for the length of the cleanse… No picking chicken bones and skin out of the soup. No mushy veggies. 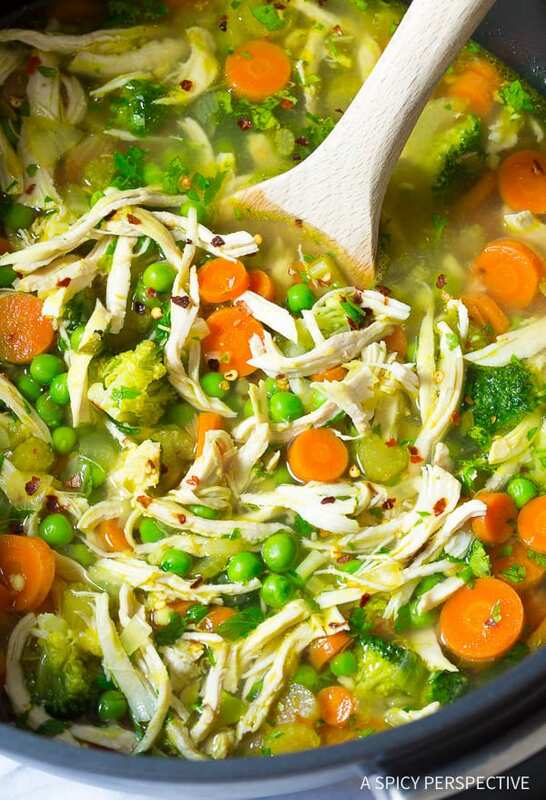 My Chicken Detox Soup follows the same principles, yet is tastier and can be made in less time. Even with the changes, it still works like a charm. 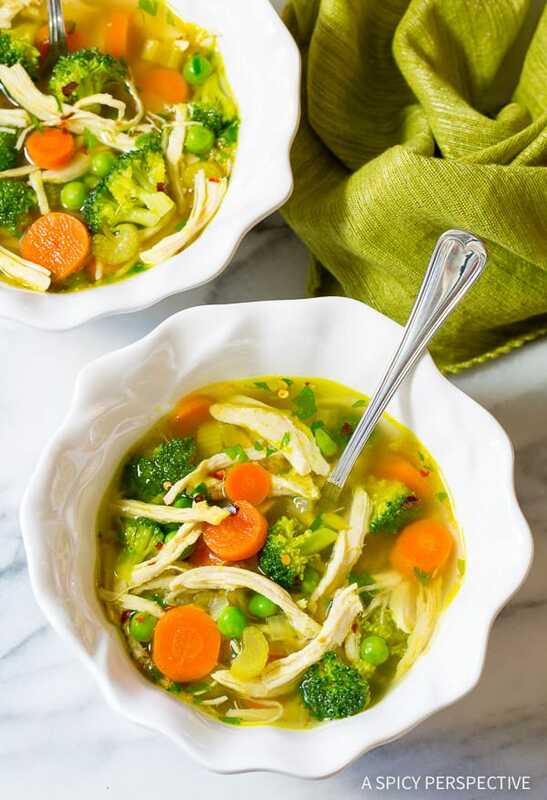 Fast and tasty Chicken Detox Soup Recipe to kick-start your diet. This healthy cleansing soup is a great recipe to whip up anytime you need a do-over on your eating plan.